Here are videos and MP3 with PDF downloads on Akashic Enlightenment with soul alignment practices and information. Also Light Language Transmission videos for cellular healing and DNA upgrades and assisting you in your soul alignment and ascension path. Healing session in Akashic Enlightenment with Light Language that removes all current perceived and unperceived blocks and hesitations in thought forms, karma, that are placed and not real according to the True Soul/Original Light Being of the True Universe; a root soul alignment allowing other false alignments to lose root and fall away as that false root can no longer hold them and realigns one with their next actions to take on this new Highest Divine Timeline free of karmic ties now forgiven by Christ Consciousness and star lineage family recognition and ancient Egyptian right. Elohim Light Codes to seal this in. A reconnection of Third Eye/Eye of Horus to Divine Sight, higher Divine Knowledge, Golden Lightbody and Soul Star activation to your divine database for a life lived in creation in alignment with your Highest Soul Path. Blue Flame initiation (often related to the Order of Melchizedek) of your Original Light Being self connecting you to higher access codes for Ascension and New Earth templates. Listen 2 times and after that as many times as you want. This is a healing for the New Earth. This Ascension healing session will help align your energies with the New Earth as best seen fit at the time and in the energy you are in presently when you do this healing session. It can be used repeatedly whenever needed to surrender that which is no longer needed and align you on your best soul path. It was recorded using the transforming energies available during the 12/12/16-12/21/16 transition and portal. It is a guided meditation you do while sitting down. You can open your own Akashic Enlighenment while doing it if you wish but it is not necessary. When playing please finish it in it's entirety before turning off the recording. For the 12/12 portal and this month of massive prepartion for the VERY powerful and life changing year of 2019 I will be offering an Akashic Enlightenment (Akashic Record & Book of Truth) and Light Language Soul Alignment Session. This will be an online session in which we will discuss soul alignment, the importance of it and how it affects your day to day living. Then there will be a 30 minute soul alignment session transmitted accessing your Akashic Records and the Book of Truth for your highest soul alignment at this time, along with a Light Language transmission bringing in attuning frequencies to assist as an Akashic Aura Attunement, bringing in Golden Solar/Source frequencies for raising your frequency to its highest at this time. 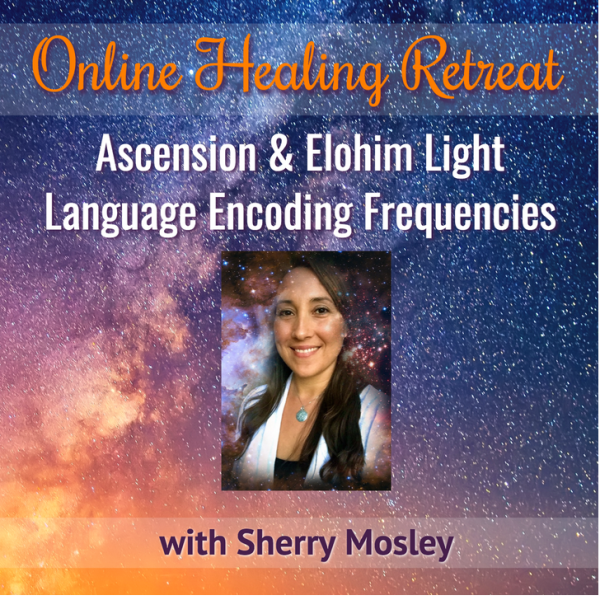 Akashic Enlightenment for Ascension and the Elohim for Light Language DNA upgrades. As each of us goes through their lives and along their Ascension path, or the act of continually aligning with one’s highest soul self out of existing fears or negative, denser energies and growing with one’s soul expansion on this plane of existence, there becomes stages of being able to accept very ancient DNA light frequency codes from the Elohim (creation extension of the Godhead) for a more conscious human that humanity was to receive long ago. This light coding continually breaks one out of the old paradigm with cellular level alignments to realign you to the consciously living, creating and present being you truly are. This is an ongoing process depending on where a being is in their Ascension/Higher Self Awareness path so every session will be different as you’re never the same at which moment the codes are given. Thus this will be an ongoing monthly retreat with building sessions that you can join at any time and each time will be a different level of light encoding for your personal soul’s progression and your Ascension path. We will go over Ascension, the Elohim, Light Language, and the Freedom and Creation Codes which will be followed by a 30 minute transmission via Akashic Enlightenment (Akashic Records and the Book of Truth) and Elohim Light Language. The transmission includes a clearing of old patterns, energies and thoughts via Akashic Enlightenment and Light Language to create energetic space for the higher consciousness of the ancient Freedom Codes and Creation Codes being brought in from the Elohim. This allows one to step up to their highest truest self and live a life in conscious creation energy assisting in stepping out of fear based free will and progressing along your soul’s path and your Ascension path as a free living being. For the Full Moon Eclipse of January 20th soul alignment and light language and Soul Alignment transmission from a vortex in Chapala Mexico that I was called to visit. At times we are all called to do our light work to help us level up in our awareness of who we really are and what we are really actually capable of outside of fears and false beliefs. activating your and all of our Christ/KRYST Consciousness and Divine Human Blueprint through merging these powerful timelines through these multidimensional portal locations while my being there physically will be assisting in grounding in new crystalline frequencies from above into this plane of existence via this vortex access and timeline convergences. When you can access this higher multidimensional experience of who you really are, you rise above all that which you have been looping in old patterns of this life, past lives and other dimensional timelines as you’ve tried to resolve it from the same point of perception. Through this raising of your level of perception of such appeared problems to a higher multidimensionally aligned view, they are easily seen for what they are and through this awareness released for your soul alignment and Ascension. This activation via Akashic Enlightenment and Light Languge at the vortex location during the eclipse will help bring forward your highest soul self alignment and Ascension as you step into this new 19 year life cycle this powerful Full Moon Lunar Eclipse is opening us all to. What a magnificent opportunity to step forward on your aligned soul path in a new and more powerful way and awareness. 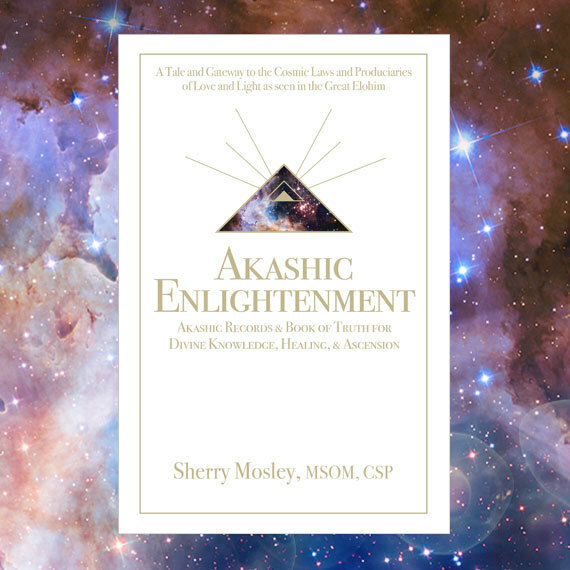 Akashic Enlightenment: Akashic Records and Book of Truth for Divine Knowledge, Healing and Ascenion, A Tale and Gateway to the Cosmic Laws and Produciaries of Love and Light as seen in the Great Elohim. What is Ascension and self awareness? What are the Akashic Records? What is the Book of Truth? Who are the Council of Light? What is Light Language? Why am I here? What is my soul’s path? What am I supposed to be doing, my purpose? Why does this type of situation keep happening? Why do I feel so drawn to this particular person? We all find ourselves asking at least some of these questions lately, or at some point in our life, wishing and hoping for divine guidance to just help us in these confusing times. The good news is we are not alone and there is a plan and there are ways to do this. It is your soul’s plan that you came into this life and into soul incarnation with. Your Akashic Records have the blueprint to your soul's plan, the Book of Truth is the gateway out of the illusion of the dream world we’ve been told is the “real world”, and Akashic Enlightenment is the key and gateway to both leading you to your highest true soul self and a life of joy, abundance, freedom, peace and love. This book is the story, alignment transmissions, and guide on how to connect with that blueprint of your soul’s Record and to learn to receive clear divine knowledge, guidance, alignment, and healing from your Akashic Records with the Book of Truth that will lead you on your highest and best path or timeline Ascending and enlightening you all the way back to Source / God / All That Is. This book contains the Akashic Enlightenment Gateway Prayer/Key along with instructions and practices on how to use it and healing alignments that allow you to open the channel between you and your soul’s Record, along with the Book of Truth, the laws of this universe and beyond, which is full of divine guidance and knowledge on your life path right now! I was given this gateway and was guided to make it available to anyone, so here it is. Through your own Akashic Records and the Book of Truth via Akashic Enlightenment you will be shown the divine wisdom and knowledge of your past, present, and future lives, alignment with your true soul self and the true laws of the universe as created by Creator / Source / God / All That Is outside of any illusory realities created by you or society. You will be helped to better understand and become self aware of who you really are as your highest true soul self and how your soul is experiencing the Ascension, or self awareness unveiling, underway at this time. You will clear old energy and/or thought patterns, stepping out of fears, traumas, and anxieties on all levels helping you move along and follow your soul’s path of higher awareness. Ultimately, strengthening your soul alignment to be and maintain your highest true self as this is truly the greatest service you can do for yourself and thus for anyone or anything else. Focus on your own self alignment and change your world and life forever! This book also contains powerful, high vibrational soul-aligning transmissions from the Council of Light of the Book of Truth, an introduction to Light Language, telepathic communications with E.T.s, healing prayers, soul-alignment practices, sacred site transmissions, and written shamanic journey and Angel channeling experiences with Ascended Masters and the Archangels. Get started and dive deep into your inner spiritual journey back to your True Self now! This is the first place to start with Akashic Enlightenment, the Trainings and Alignment courses. This will allow you to get used to and align with your True Soul Self. The downloads allow you to go at your own pace and self study the Akashic Enlightenment (Akashic Records and the Book of Truth) trainings with the soul alignment practices. Click here to learn more about the individual courses and Akashic Enlightenement . Akashic Enlightenment Level 1: Accessing Your Akashic Records & the Book of Truth for Self Enlightenment & Ascension: Introduction to AE, guidlines on using the AE Gateway Prayer, guided 3 prepratory mediations, fully guided question practice to walk you through your first soul alignment and transmission practice. Accessing Your Akashic Records & the Book of Truth for Self Enlightenment & Ascension, Exploring Your Soul and Ascension In Your Akashic Records, Past Life Adventures & Knowledge, Ascension, Soul Lineages & Relationships, Divine Love & Healing. PLUS bonus of both Preparatory Meditations. 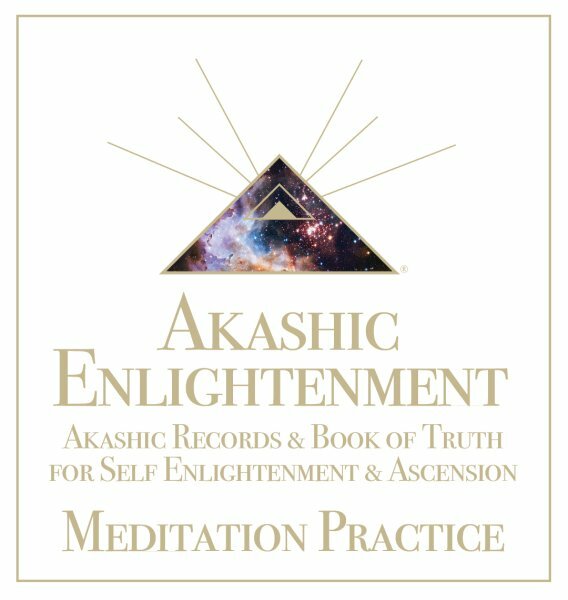 These MP3s are 12-15 minutes in length and take you through either an Akashic Enlightenment (Akashic Records and the Book of Truth) Soul Alignment Practice, taking you through 4-5 questions while in AE, or Meditation Practice, guiding your focus on certain chakras for Akashic Soul Alignment in a certain core area minus all the introduction and teaching in the longer trainings which are recommended before doing these. Each MP3 assumes you already have the Akashic Enlightenment Gateway Prayer either from a training or from the book and that you know how to use it and have it ready to use to do these practices. These are great to be purchased and reused many times over time and good at helping you keep up a regular practice of checking in and staying aligned with your True Self. Staying aligned with Soul Self or your True Self means to live a life in joy, out of the fears and patterns, and for the experience of something and staying aligned allows one to accelerate and stay in that constant state as Source/God intended for you with your soul. Daily Soul Alignment Guided Question Practice in Akashic Enlightenment - A series of simples questions to start your day off in alignment. Akashic Alignment to Highest Soul Path or Timeline in Akashic Enlightenment with Light Language - A short energy healing session to use in AE to help to clear and align your energy. 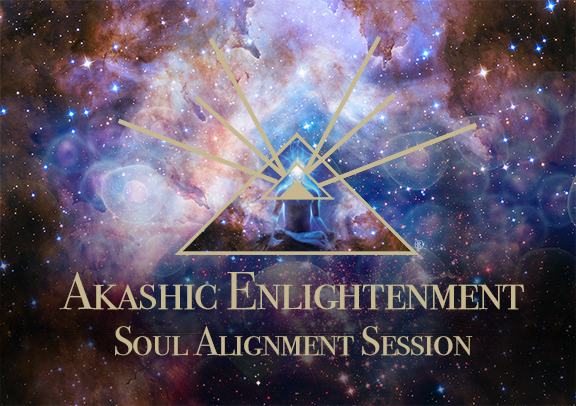 Manifesting Your Soul's Desires and Soul Path Alignment with Akashic Enlightenment - A series of guided questions to help you look deeper into your soul's desires and soul path. 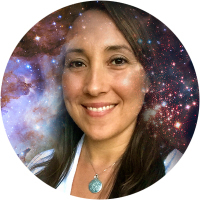 Deactivate a Trigger, False Belief, or Learned Behavior, Soul Alignment Practice in Akashic Enlightenment - A guided series of questions to help you step out of a trigger.